The Bank Holiday Weekend is here and I must say theres something about these breaks that makes everyone so happy. For me, B/Holiday weekends are a chance for me to explore and cook dishes that I enjoy making. I visited my local market that sells everything from Yams, sweet potatoes, fresh & dried fish, vegetables , spices and a lot more ingredients that I love. 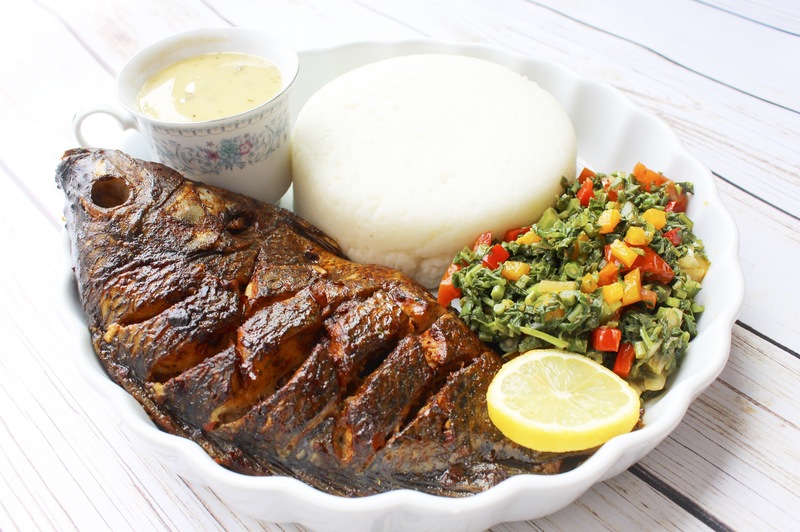 I decided to buy tilapia to make a dish specifically for this weekend. I love fish and here is how I did it. Very very simple…. 3 Whole tilapia or bream fish, descaled,cleaned inside and out. 1.Preheat oven to 180degrees / 350F/ Gas 4. 2. Line an oven tray and place on aside. Place fish in a large bowl , make deep slits with a knife and season with salt. In a separate bowl mix the spices with the lemon and oil (3-4tbsp roughly of oil) then marinate the fish, cover and place in refrigerator for 4hours. 3. Line an oven tray and drizzle the parchment paper or foil with oil . 4. Now lay the fish on the tray and make sure there is space in between each fish and place in oven to cook for 25-30 minutes depending on size of fish. 5. When done, it should be easy to pull out the fish gills and it should be golden brown. Then serve to your preference. Previous Previous post: 5 Truths About Restaurant Food. 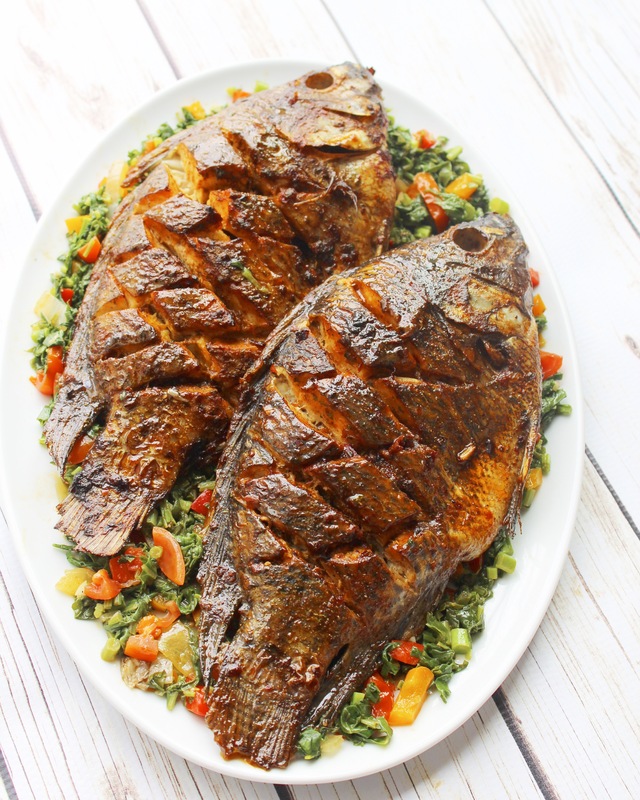 Made Tilapia using this recipe, my my my Ivy! 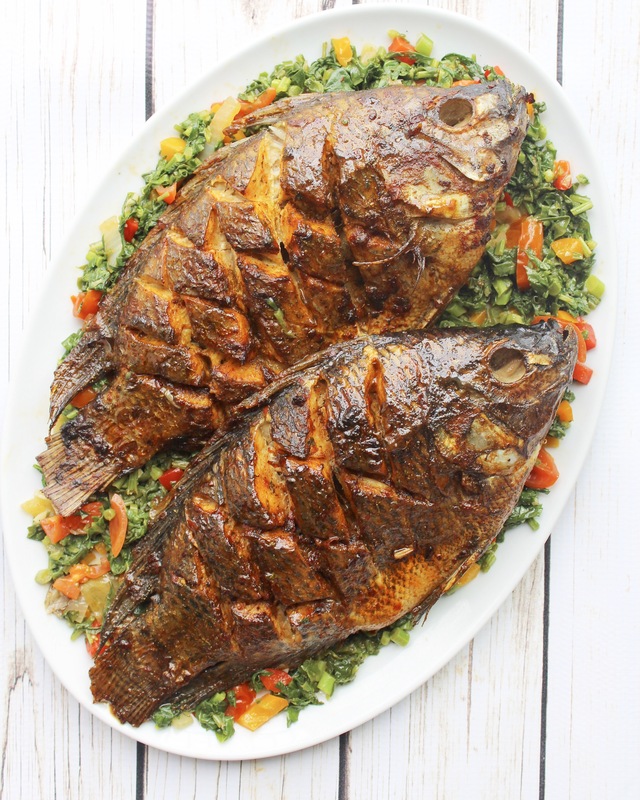 Thank you very much, don’t think I will ever eat tilapia any other way, unless of course you come up with another yummy recipe. Thanks much for sharing. Reading this had made me want to cook this tonight. I will share on instagram the finished product if I don’t get tempted to eat without taking pics hahaha! Thanks darling girl.